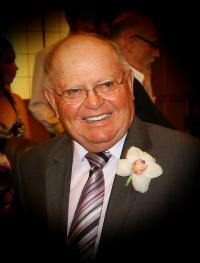 The family announces the passing Austin at the age of 81 years. He is lovingly remembered by his wife Shirley of 45 years; children, Marvin (Karen), Debbie (Tom), Terry (Kevin), Shane (Brandy) and Scott; grandchildren: Lindsay (Shawn), Dan (Jordy), Brett, Emily, Leah (Brennan), Lauren, Sabrena, Britney, Greycen and Everly; great grandchildren; Isla and Jake. He was predeceased by his brothers, Aubrey, Vern and Ken. A Memorial Service will take place at 1:00 p.m., on Friday, January 13, 2017 at CrossRoads Church off Hwy 2, 32 Street, Red Deer, Alberta. Hwy 2, 32 Street, Red Deer, Alberta.